Home E40 Entertainment News New Music Nexxlegacy E-40 New Drops EP!!!! The Rap Icon Drops First E.P. In Over 20 Years! VALLEJO, CA (Nov. 20, 2015) – Hip-Hop icon E-40 releases his highly anticipated new E.P. 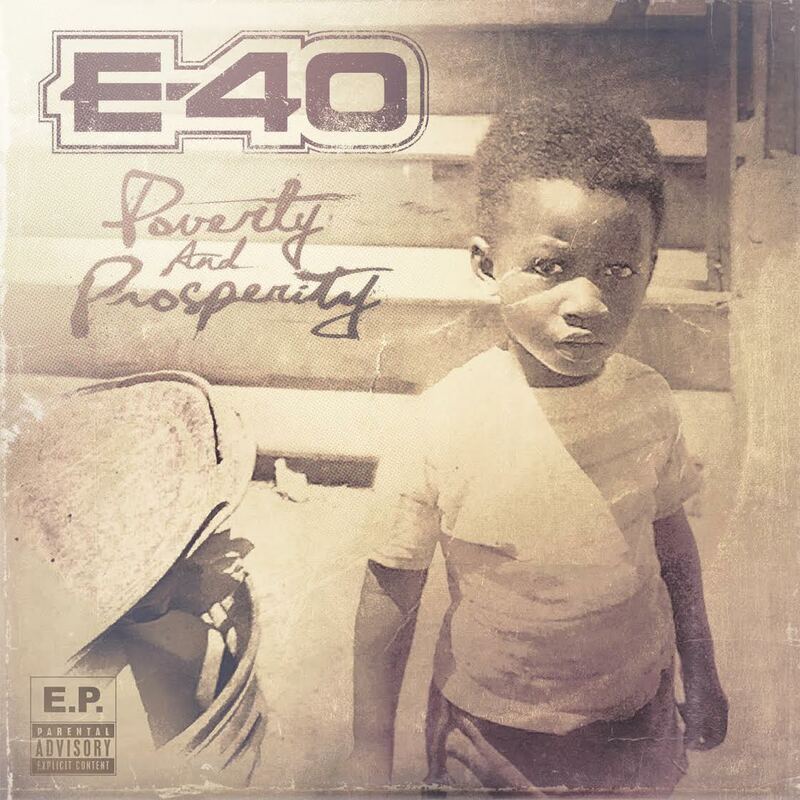 titled “Poverty & Prosperity,” his first in over 20 years since his 1993 E.P. “The Mail Man.” The Bay Area Ambassador shows no signs of slowing down with the release of this new project on the heels of debuting his hot new single “Gamed Up” featuring artist Rayven Justice. “In the midst of working on my two albums, ‘Sharp On All 4 Corners Volume 3 & 4,” the good Lord tapped me on the shoulder and gave me an assignment. He told me to speak to the people, to tell it like it is and call it how you see it…E-40 you got something to say!” explains the rap veteran. Fresh off his nomination for Best Hip-Hop Song of the Year at the Soul Train Awards for his collaboration with Big Sean on “IDFWU,” and releasing four new remixes of his hit single “Choices” featuring French Montana & Kid Ink; Zero, Slim Thug & Kirko Bangz; 50 Cent & Snoop Dogg; and Migos & Rick Ross, E-40 continues to show the next generation of artists how hard work and consistency pay off. After three decades in the game, E-40’s talent and business savvy keep him relevant in an ever-evolving industry, while also allowing him to branch out into the beverage industry with a historical launch of his signature Earl Stevens Selections, Sluricane Hurricane and his new 40-ounce malt liquor hitting shelves in December.